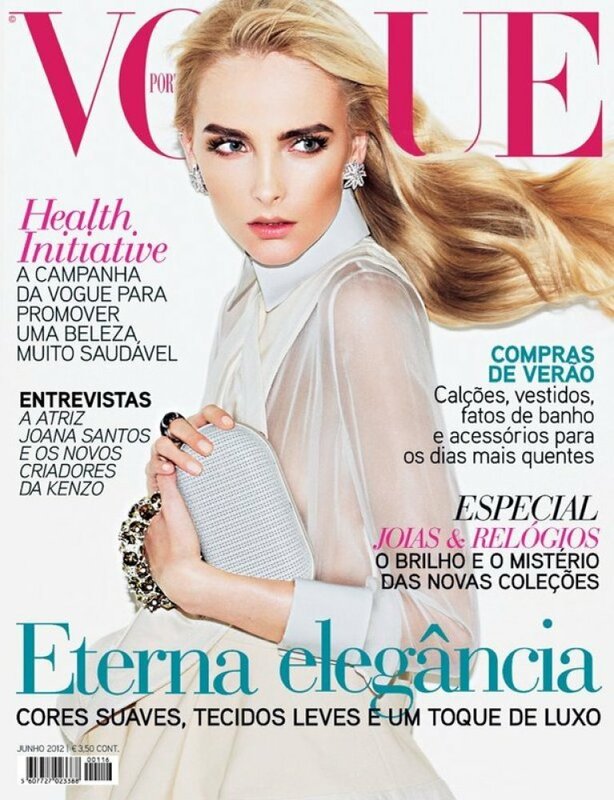 When Vogue announced its international Health Initiative, there were many who scoffed. Sure, it's nice to say you support healthy, happy models. But when it actually comes to using models who are the appropriate size and age, how many magazines can walk the walk? Apparently, not all of them. After some sleuthing, Fashionista found that one of the models featured in the August issue of Vogue China was Ondria Hardin. Hardin was one of the two underage models who walked the Marc Jacobs runway show last February, flouting the age guideline put forth by the Council of Fashion Designers of America (CFDA). The CFDA's age guidelines match the Vogue Health Initiative's, stating that models must be 16 years old or up. At the time of the Marc Jacobs show, Hardin was reportedly 14; when she posed for the recent Vogue China, she was 15, making Vogue China the second international edition of the mag to violate the Health Initiative after Vogue Japan, who shot 14-year-old Thairine Garcia just this month. Vogue China has now apologized for casting Hardin, as editor-in-chief Angelica Cheung told Vogue UK, "It happened under our radar, and we are truly sorry. We will make sure it doesn't happen again." "The Health Initiative banning underage models is very serious, and we will reinforce it. I apologize for the error that took place in China. We will do everything possible to prevent future errors." In other words, walking the walk is still more difficult than everyone imagined. But at least magazines are owning up to their errors -- knowing the media is hot on their tail might have done the trick.